When is my child ready to move to the Jr. StarSkate program? Movement from CanSkate to the Jr. StarSkate program is based on the skater’s ability. A Coach may recommend moving your skater into the Jr. StarSkate, however you are also encouraged to speak to a coach before or after a session if you have questions. When can my child stop wearing a helmet? As per Skate Canada rules, once your child has completed their level 5 badge they can stop wearing a helmet. What is offered after Jr. StarSkate? There are no other group programs offered after StarSkate. Your skater can enter private lessons if they choose to. How long does it take to complete the Jr. StarSkate program? Many factors can affect a skater’s rate of progress: amount of ice time, equipment, age, natural ability, whether or not they are attentive during instruction time and extra instruction in the form of private lessons are all key factors in how quickly your child learns the skills. Remember there is no set standard of time. Let your child progress at his/her own rate of development. If you are concerned about your child’s progression please speak to one of the professional coaches. Remember to do this off the ice. How do I know if my child is ready for private lessons? Is your skater interested in moving forward with figure skating? Do they show a keen interest in the sport? Are they enthusiastic about participating? Can they work on their own? If you answered yes to these questions, your child is ready to take on private lessons. Will a coach approach me to let me know my child should take private lessons? No. Coaches will not approach you in regards to private lessons. If you are interested in knowing if your child should take private lessons you can talk to any of our coaches and they would all be happy to answer the questions you may have. How do I pick a coach for private lessons? You should always take into consideration who your child works well with and appears to have built a connection with: You can read about all of MSC coaches on our website at www.missionskatingclub.com. Once you have decided on a coach you will need to contact them to discuss your options in person or via email, found under coaches info on our website. If I take private lessons does that mean I have to compete or test? No. You can take private lessons just to further your knowledge, love and skills in skating. There is no pressure to compete or test. When I register for private lessons are there any additional costs? Yes. When you register you are paying for ice ONLY. You are still responsible to pay for coaching fees and any off-ice classes that are not built into your session. You will need to contact the coaches to find out current rates. What is the difference between figure skating sharpening and hockey sharpening? The answer is simple, A LOT! Figure skating blades must be ground to create a hollow. The depth of the hollow depends on the skater’s preference and the discipline they skate in (freeskate vs dance). The hollow creates two edges, inside and outside. Big rule of thumb is: NEVER EVER give your figure skates to someone who only sharpens hockey skates or use any automated skate sharpening machines which are found at some arenas. Trust your skates to someone who knows what they are doing. How frequently should I Sharpen my skates? Once you feel that your edge is slipping, skidding or you lack control you feel you normally would have, it is time to sharpen. Some skaters don’t mind slightly dull blades while others find they require them to be really sharp. Skaters should take notice how they like their blades so that they can get them sharpened early enough (or close enough) to competitions and tests so that they are perfect when the time counts. General rule is about every 20 hours. Skate guards should be worn at all times when off the ice and ensure skates are properly dried and stored when not skating. Please Note: skating on very rough ice (public skate sessions) dulls the blade faster, so keep that in mind. What type of skates should I buy? The type of skates your choose to wear will reflect what discipline you are learning to skate for. Those interested in Figure skating or recreational skating will prefer a figure skate, while those keen on hockey or ringette should be in hockey skates. Skaters who want to move into the Jr. StarSkate program or private lessons must wear figure skates. What is a Program Assistant (PA)? MSC Program assistants are quality skaters from our club who have been trained to assist our professional coaches on the CanSkate, Preschool CanSkate, and CanPower sessions. PA’s are volunteers; their role is to help young skaters practice the skills they have learned with the professional coaches during club programs and to make sure the children are having fun while they are learning to skate. 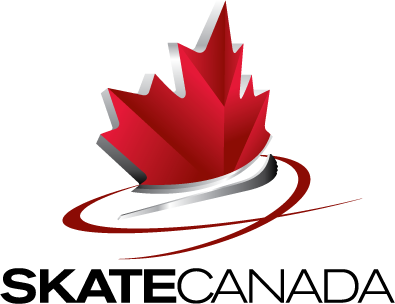 Any Skater who is registered with the Mission Skating Club, who is in good standing with Skate Canada and ranks acceptable maturity is able to apply to be a program assistant. More thorough information is available from the Program Assistant Coordinator. What is proper practice attire? The MSC encourages clothing that allows a skater to move freely. For example: boys can wear jogging pants, or track pants. Girls can wear long yoga pants, jogging pants or tights with a skating skirt etc. and are expected to keep their hair tied back. A buy on is a skater purchasing time on MSC private skating session that the skater is not registered for but qualifies to skate on. If you are in StarSkater or are a junior, intermediate or senior skater you have the opportunity to “buy-on” to a session that you are not registered for but qualify to skate on. Often, this happens when a coach, skater and/or parent wants an extra session to provide time to work on a difficult skating skill, or when preparing for a test or competition. Please note: if a session is “full”, then buy-ons are not allowed. How do I know if I qualify to buy-on to a session? If you are a junior skater, you are able to skate on Jr. sessions, senior skaters skate on Sr. sessions etc. If the session is an OPEN session, all levels of skaters are allowed on this ice time. Brand new junior skaters and very advanced senior skaters should take precautions and should discuss with their coach if that particular open session is a good fit. How do I purchase a “Buy-on”? Sign into the Buy-on book located in the music room. Pay the Buy-on fee by cash, cheque or by buy-on tickets. The cost is $4 per 15 min, or 1 coupon per 15 min. Please note: a full session must be purchased- with the exception of stroking/enhancement. Buy on skaters are not permitted to buy onto a stroking/enhancement sessions. Ensure that you have written the skater’s full name, session(s), date, and initials on the buy-on in envelope and/or on the buy on tickets. Buy-on envelopes are located in the music binder beside the buy-on box in the music room. Put the payment/coupons into the labeled and initialed envelope and place in the buy-on box located in the music room.